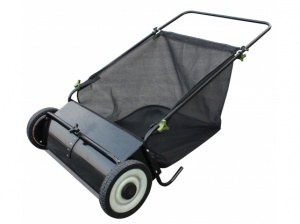 This is a manual lawn sweeper with an impressive 200 litre hopper and 66 cm working width, ideal for picking up those autumn leaves or other garden debris. 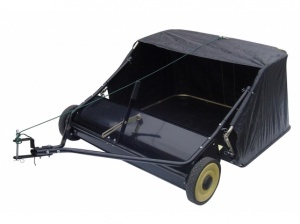 The Agri-Fab push lawn sweepers feature a 26 inch working width, and a large collector, so that your garden debris/leaves/grass can be collected in no time. 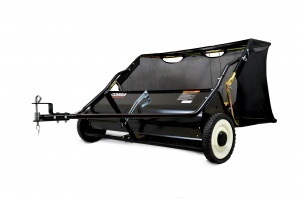 With a 96 cm / 38 inch working width, this towed lawn sweeper is the ideal solution for collecting leaves. 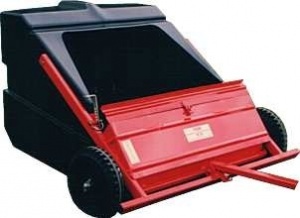 It features an easy tip hopper with a capacity of 280 litres. 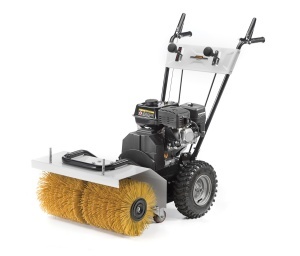 This is a 55 cm wide push sweeper, featuring two 30 cm diameter disk brushes, suitable for use inside and outside, and ideal for removing dust, dirt and debris such as leaves, paper and cans from hard surfaces. A straightforward machine to work with, this 75 cm manual sweeper features 41 cm diameter disk brushes, ideal for sweeping up dirt, dust and debris, including papers, leaves and cans. Ideal for cleaning large residential and public areas, this is Stiga's most powerful push sweeper, able to effortlessly collect dirt, dust and debris over hard indoor and outdoor surfaces. Alpina floor sweeper ideal for clearing driveways, footpath from leaves and litter.Fitted with snow hog tyres ensuring excellent traction. A versatile, all-season machine, the Stiga SWS 800 G Sweeper is ideal for clearing paths, driveways, car parks and footpaths from leaves, litter, grass trimmings and snow. The TS98 36 inch lawn sweeper features a robust construction to withstand prolonged heavy use, and a large capacity solid plastic catcher, which is rot/tear proof. PLEASE NOTE: Order Wednesday to receive your order Thursday* in time for the Easter bank holiday. All orders placed Thursday 18th will be dispatched* on Tuesday 23rd. Click here for more info.